Once in a generation a woman comes along who changes everything. Tina Fey is not that woman, but she met that woman once and acted weird around her. Before 30 Rock, Mean Girls and 'Sarah Palin', Tina Fey was just a young girl with a dream: a recurring stress dream that she was being chased through a local airport by her middle-school gym teacher. She also had a dream that one day she would be a comedian on TV. She has seen both these dreams come true. At last, Tina Fey's story can be told. From her youthful days as a vicious nerd to her tour of duty on Saturday Night Live; from her passionately halfhearted pursuit of physical beauty to her life as a mother eating things off the floor; from her one-sided college romance to her nearly fatal honeymoon -- from the beginning of this paragraph to this final sentence. 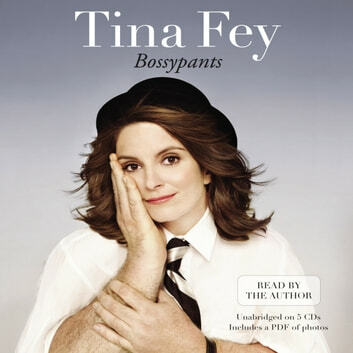 Tina Fey reveals all, and proves what we've all suspected: you're no one until someone calls you bossy.